In April 1912 in Hampton, Virginia, white eighteen-year-old reporter Charles Mears covers his first murder case, a trial that roiled racial tensions. An uneducated African American girl, Virginia Christian, was tried for killing her white employer. "Virgie" died in the electric chair one day after her seventeenth birthday, the only female juvenile executed in Virginia history. Charlie tells the story of the trial and its aftermath. Woven into his narrative are actual court records, letters, newspaper stories, and personal accounts, reflecting the arc of history in characters large and small, in events local and global. Charlie falls in love with Harriet, a girl orphaned by the murder; meets Virgie's blind attorney George Fields, a former slave; and encounters physician Walter Plecker, a state official who pursues racial purity laws later emulated in Nazi Germany. 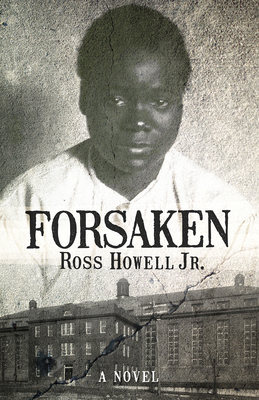 There is much to admire in the pages of Forsaken, especially the vivid sense of time and place, Hampton Roads after the Civil War and Reconstruction. The novel's premise is ambitious, its events striking and tragic, and fiction and nonfiction are deftly blended in this powerful read on the themes of injustice, corruption, and racial conflict set in the poisonous epoch known as Jim Crow.